Your face is what people first notice about you and your skin says a lot about who you are. To radiate a younger, fresher looking you – take care of your greatest asset! Book in your complimentary consultation and skin assessment with one of our qualified medical staff, and let us help you transform into the best version of yourself you can be! Cosmetic Injectables are the safest non-surgical treatment used to enhance, rejuvenate and help to maintain a natural, youthful complexion. Our expert medical team are one the most renowned practitioners in the UK, and are dedicated to providing you with the latest and most advanced treatments available on the market today. We guarantee you’ll be delighted with the high quality service, professionalism and natural looking results – where you will leave looking and feeling your very best after each treatment. 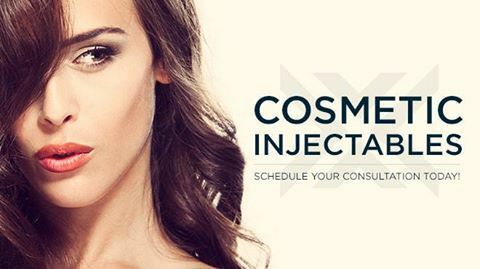 Comprising of Cosmetic Dermal Fillers or Anti-Wrinkle Injections, Cosmetic Injectables are an effective and affordable way to fight the visible signs of aging. Whether you want to enhance your cheekbones, plump up your lips or simply smooth out wrinkles and scowl lines, using these two treatments in conjunction with each other is often the perfect way to help you achieve your desired appearance. Take a vacation from wrinkles with Anti-wrinkle injections, a safe cosmetic procedure that relaxes and softens fine lines, creases and expression lines, giving you a more youthful and refreshed appearance. Now you can smile with confidence and feel amazing as your wrinkles, scowl lines and crow’s feet disappear immediately; effortlessly removing the visible signs of aging with no downtime, no surgery and no fuss. The best part is, Anti-Wrinkle Treatments can treat so much more that what you think. Excessive sweating, migraine headaches and muscle spasms can all be controlled by the treatment. At OFF we utilise an application technique that transforms your appearance with minimal pain and/or bruising, so that you leave looking and feeling great. 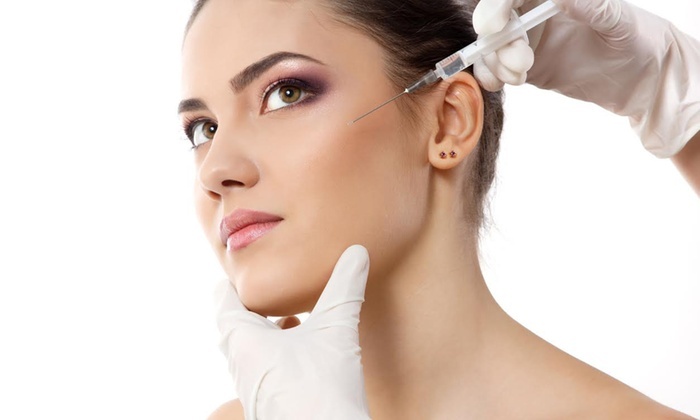 Anti-wrinkle injections – the anti-ageing remedy of the future! No surgery, non-invasive and no recovery time. Dramatically reduces and softens the visible signs of ageing, fine lines and wrinkles, resulting in a fresher, more youthful appearance, help to control excessive sweating and treat migraine headaches, control muscle spasms and twitching. 1 treatment every 3 to 12 months. Glabella, creases between the eyebrows. Hyperhidrosis, excessively sweaty underarms, hands and feet. Now you can look even younger than you feel with fast and effective Cosmetic Dermal Fillers. As we age, our skin loses its firmness, elasticity and volume, leading to fine lines and wrinkles, and sagging skin. Bring back your skin’s lost hydration with Cosmetic Dermal Fillers; the safest non-surgical treatment that will cosmetically enhance areas that lack volume or definition. Often you can combine Cosmetic Dermal Fillers with Anti-Wrinkle Injections in order to achieve your desired appearance. Used in conjunction with each other, these two treatments are the perfect complement to one another. Our qualified medical team can enhance your cheekbones, plump up your lips, or smooth the contour of an uneven nose – cosmetic dermal fillers are the perfect solution. We all like to look and feel our best – and what better way to shed years off your appearance than a simple, non-invasive affordable treatment! 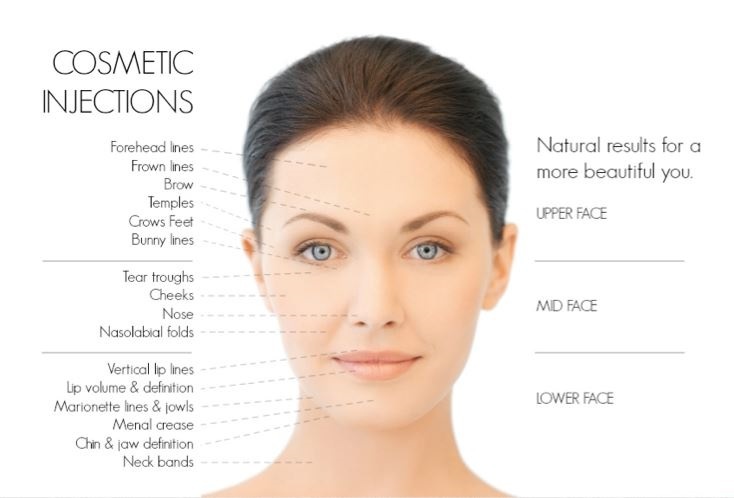 Cosmetic Dermal Fillers – Firmer, younger looking skin without surgery.